Neutral density (ND) filters are an important photography accessory. 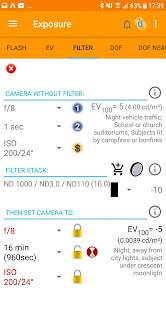 The Photoxor C1 Toolkit provides a calculation tool to determine adjusted camera settings when a ND filter is applied. The short answer: Yes it is accurate in accordance to the selected stop system. Let's take an example. To make it easier, we keep aperture and ISO fixed (the locks are closed, so the calculation can't change the values), and keep the eye on the third dimension: exposure time. 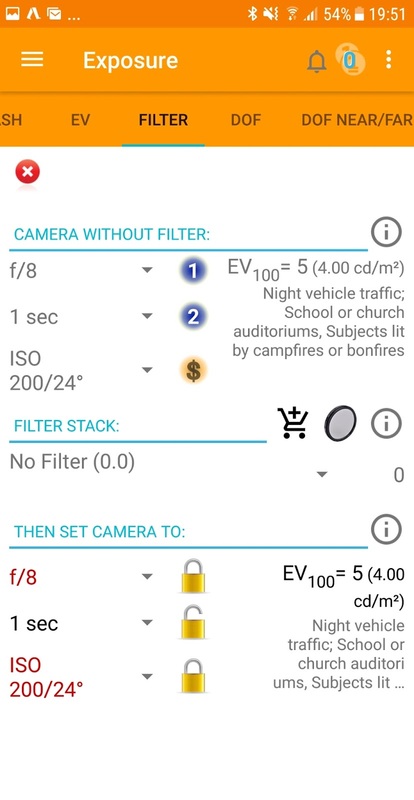 Assume we do have a lighting scenario with a light value (EV) of 5, 4 cd/m2, where an adequate camera setting would be f/8, ISO 200, 1 second exposure time. Now let's apply a ND1000 filter, also often called 10-stop filter. What does 10 f-stops mean? "One f-stop" means, only half of the light gets to the camera. So 10 stops is 1/2 * 1/2 * 1/2 * 1/2 * 1/2 * 1/2 * 1/2 * 1/2 * 1/2 * 1/2 = 1/1024, in practical terms only one 1024th of light gets through to the camera. What does it mean for our scenario? To receive the same amount of light as originally for one second of exposure, now we need an exposure time 1024 times as long. 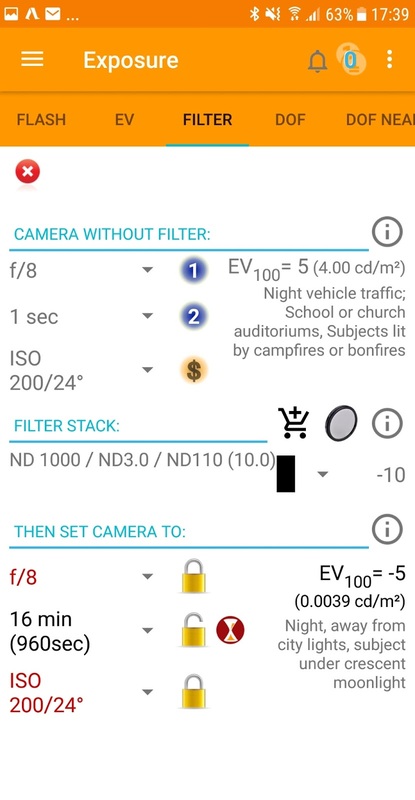 So with the ND1000 filter applied, your camera setting would need to be f/8, ISO 200, 1024 seconds exposure time. That's the exact, precise calculation: 1024 seconds. 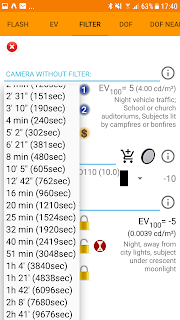 Now if you perform this calculation in Photoxor C1 Toolkit (we keep aperture and ISO locked), the resulting exposure time is 16 minutes (960 seconds). Why the difference, and does it matter? 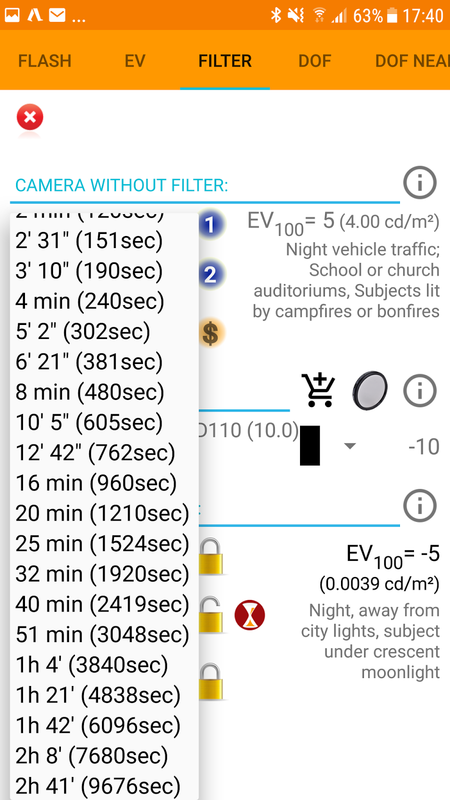 If you look at the list of exposure times, then there is 12' 42" (762 sec), 16 min (960 sec), 20 min (1210 sec). 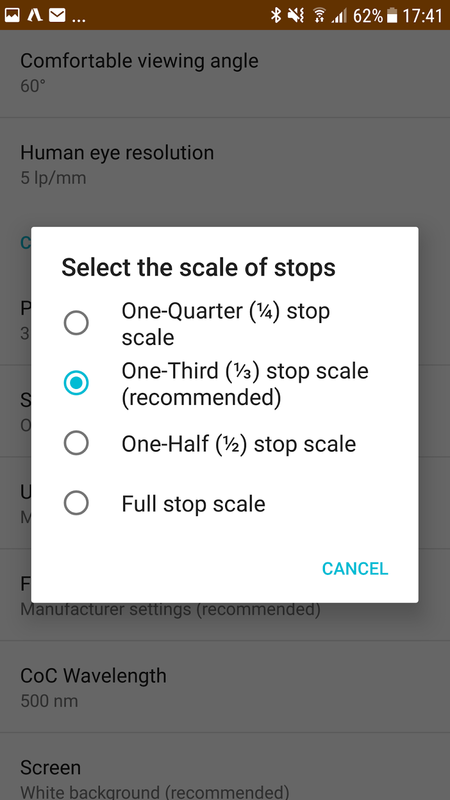 These are the values supported by the One-Third stop scale. So, the result value selected is indeed the value closest to the precise 1024 seconds. Most likely the measurement of the scenario lighting is an approximation. And then consider the artistic interpretation of the scenario exposure. There is a good chance that a ND filter has some tolerance in its light reduction, which often is also dependant on the light wavelength. 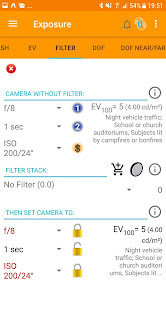 For shorter exposure times you are likely constrained to the settings provided by the camera (i.e. 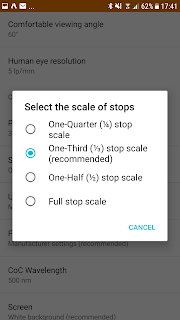 the selected stop scale) anyway. Please feel free to let us know your experience.